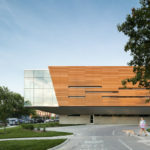 With declining public interest in an outdated 1970s exposed concrete library in Lawrence, Kansas, Gould Evans worked closely with residents, downtown neighborhood groups, and the library to establish primary goals for a renovation that sought to cover a broad base of community interests. 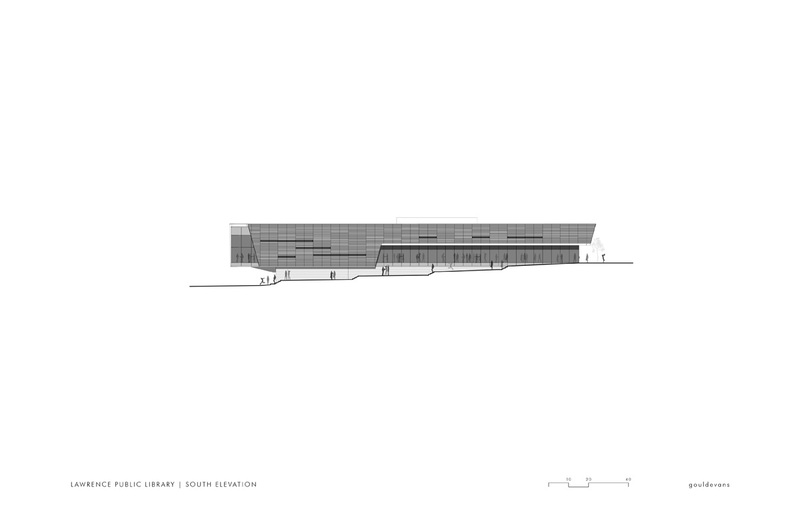 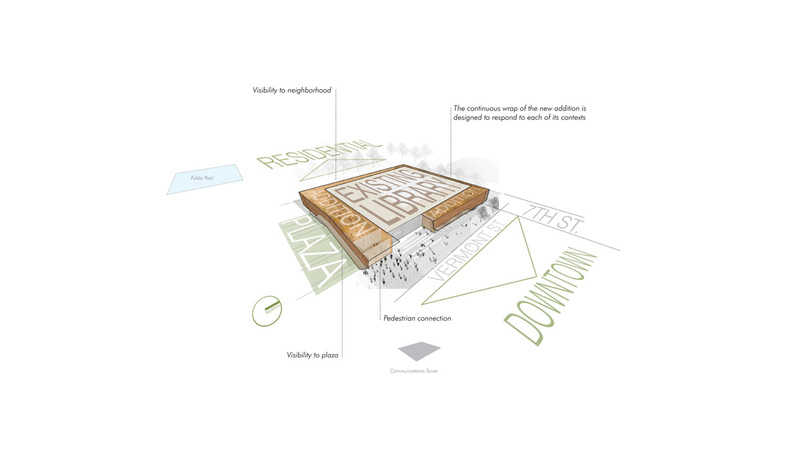 Out of this extensive dialogue, the project team identified a design concept that promoted better contextual awareness between the library and the city through a new main entryway, a more functional threshold between the library and the surrounding community, and improved energy performance. 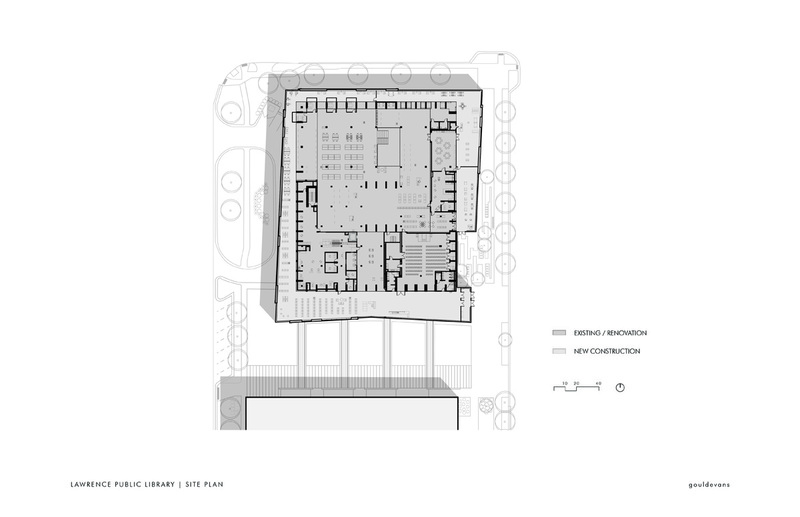 After an extensive energy modeling and analysis on the existing structure by Syska Hennessy Group, it was discovered that the building lost significant energy and lacked adequate levels of daylight due to the arrangement of exposed concrete fins that acted like a giant radiator during hot days. 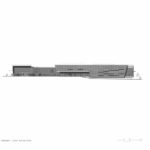 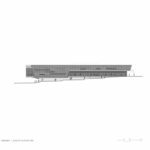 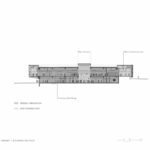 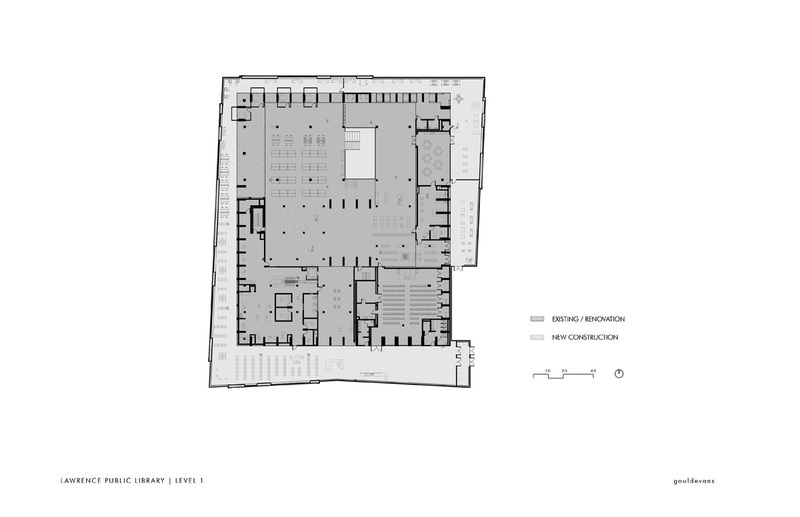 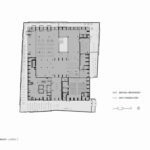 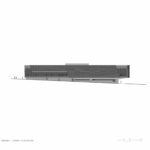 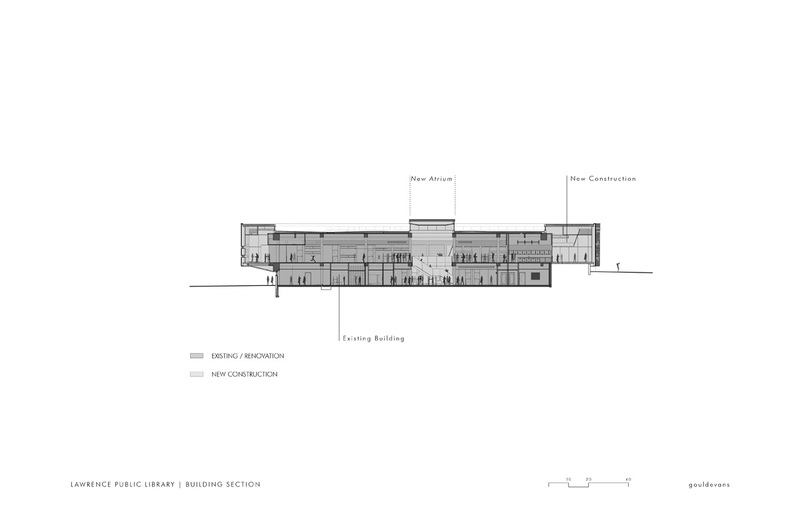 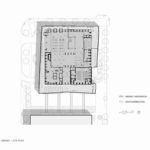 In response, the architects addressed performative issues and community desires with a “re-skinning” strategy that wrapped a continuous reading room around the original structure. 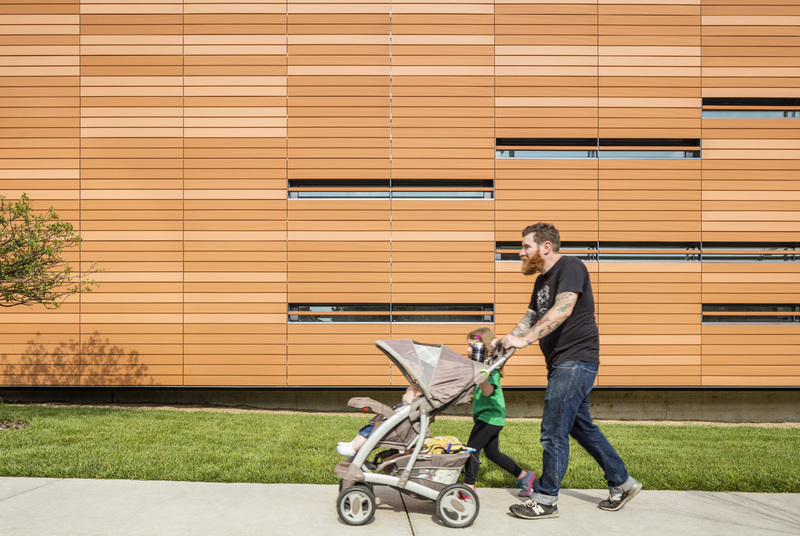 The facade, clad with a continuous insulation barrier and a terra-cotta rainscreen system, was envisioned as a highly contextual element interfacing directly with the city. 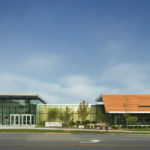 The new addition opens up to a park on the north side, while providing a new community plaza along the south elevation. 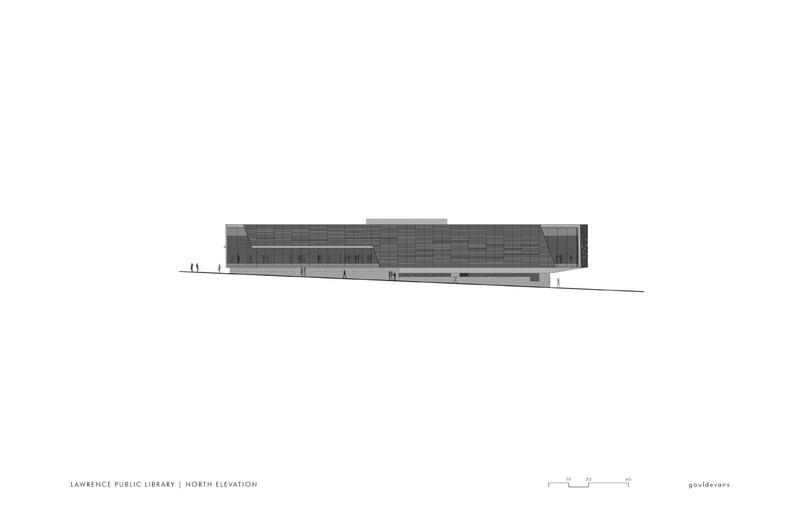 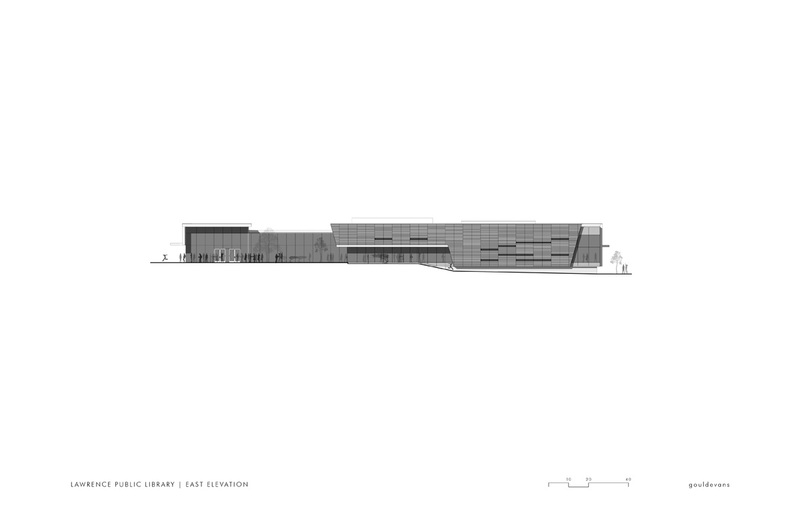 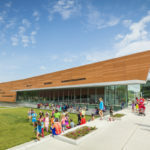 Along the west facade, access to an aquatic center across the street allows the library to be easily accessed by children before and after swim meets. 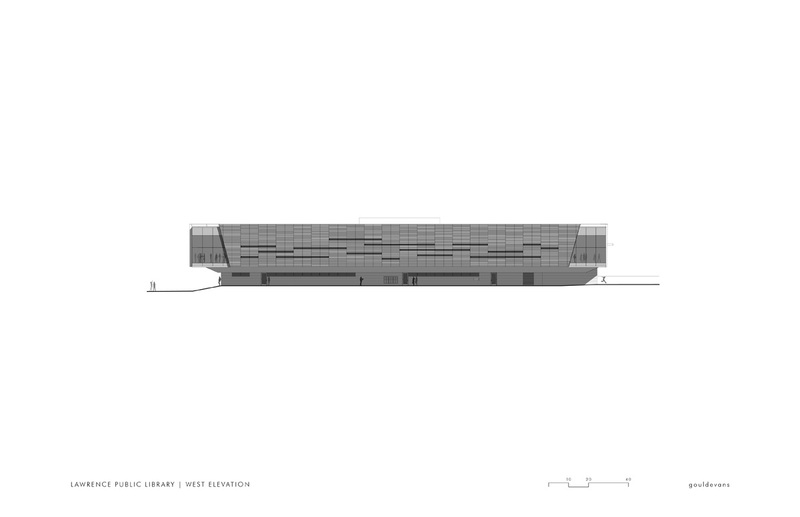 The main entrance is located along the east of the building, which fronts a pedestrian-oriented urban context. 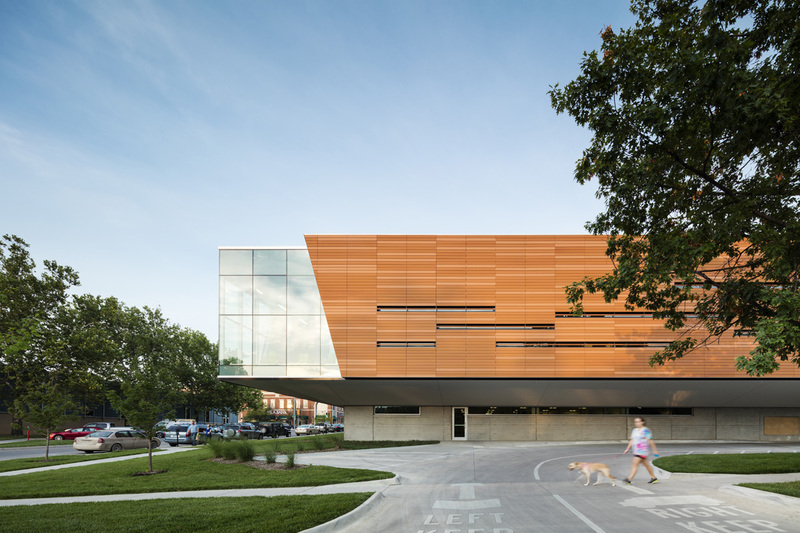 Formal bends, folds, and apertures of the facade assembly facilitate the structure. 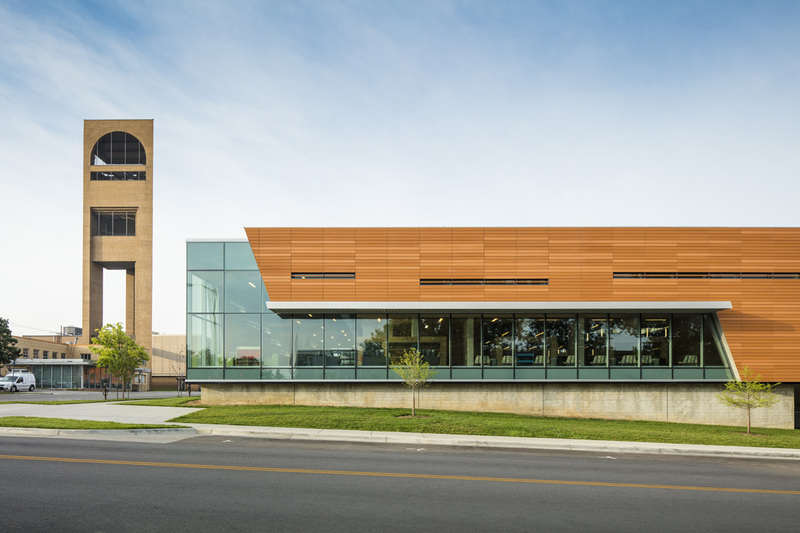 Terra-cotta was employed as the predominant exterior finish material by the project team to provide a modern update to adjacent historic red brick facades of Lawrence dating back to the late 1800s. 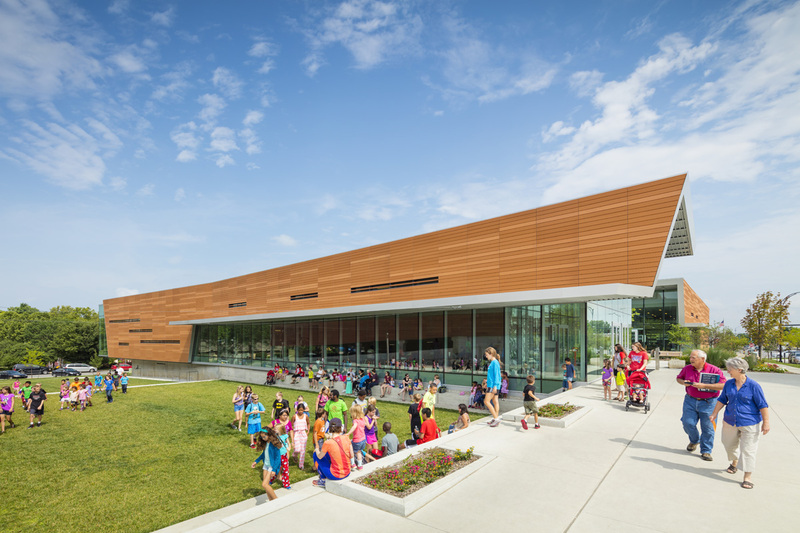 The one-by-five-foot terra-cotta rainscreen panels are hung off an aluminum clip system in front of a continuous insulation barrier and trimmed cleanly at the perimeter with one-fourth-inch aluminum plate. 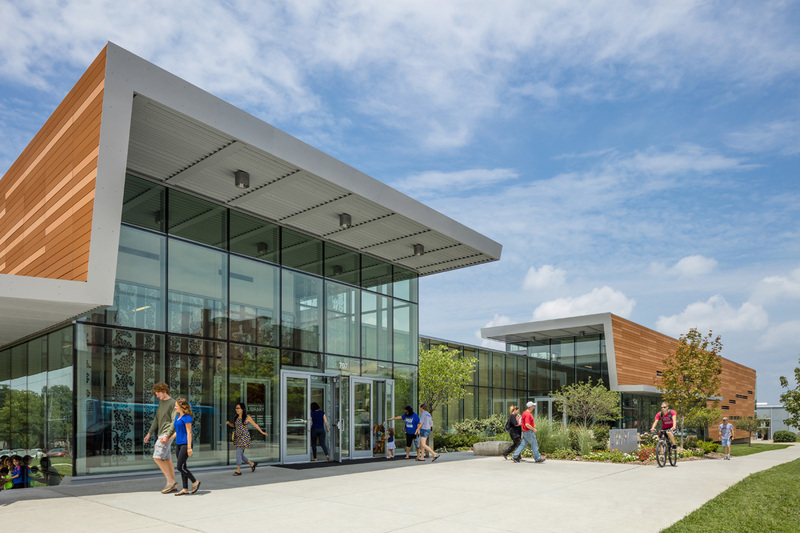 Contrary to the imperfections of brick modules, terra-cotta is engineered with a high tolerance through controlled machining processes. 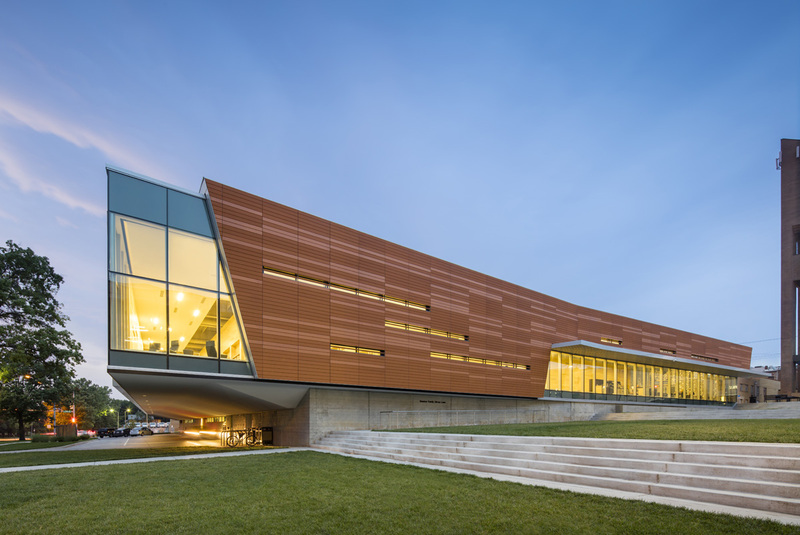 Gould Evans showcases this precision through its facade design, which specifies panels in two textures: smooth and grooved. 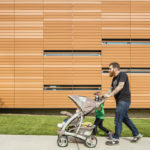 A sense of variation and depth is produced from shadow lines generated by the textured panel, which appears slightly darker than the smooth panel despite their precisely similar coloration. 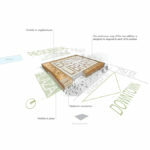 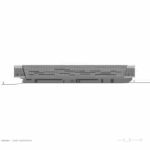 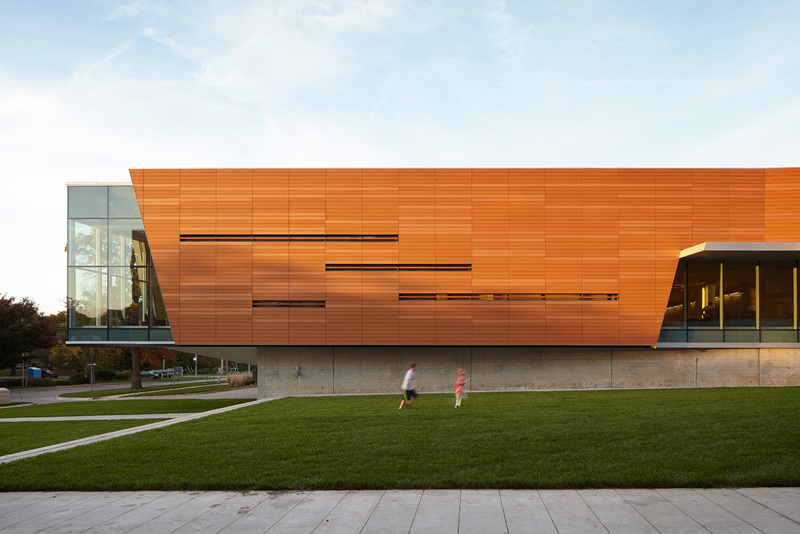 Windows fit compositionally into the panelization of the facade, and include terra-cotta baguettes that perform as solar louvers. 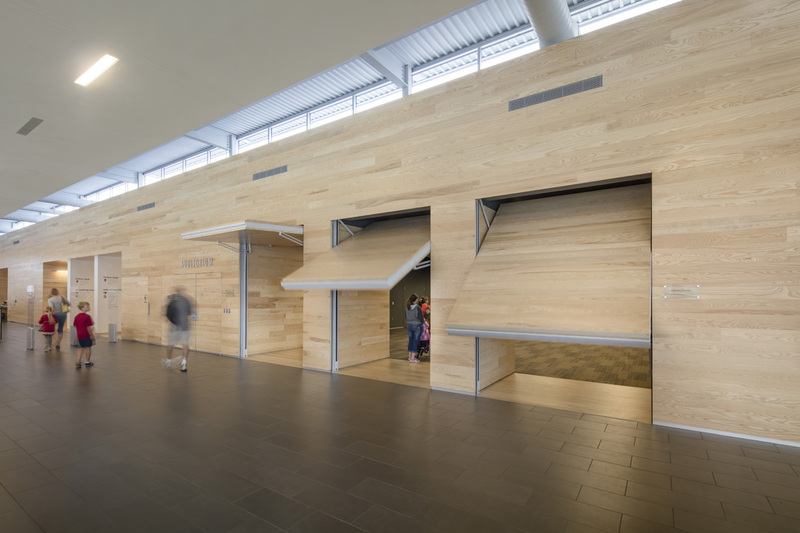 Particularly notable is how the new addition interfaces with the existing structure. 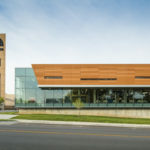 Utilizing the mass of the concrete building, the new addition literally hangs off of the old library along the west facade where a new column-free book deposit drive through window is located. 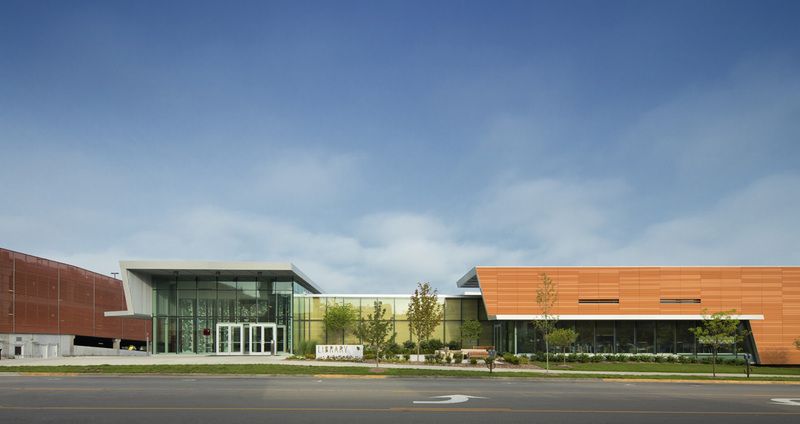 A primary steel framework sits above the existing roof plane, creating a continuous row of clerestory windows opposite the primary exterior facade. 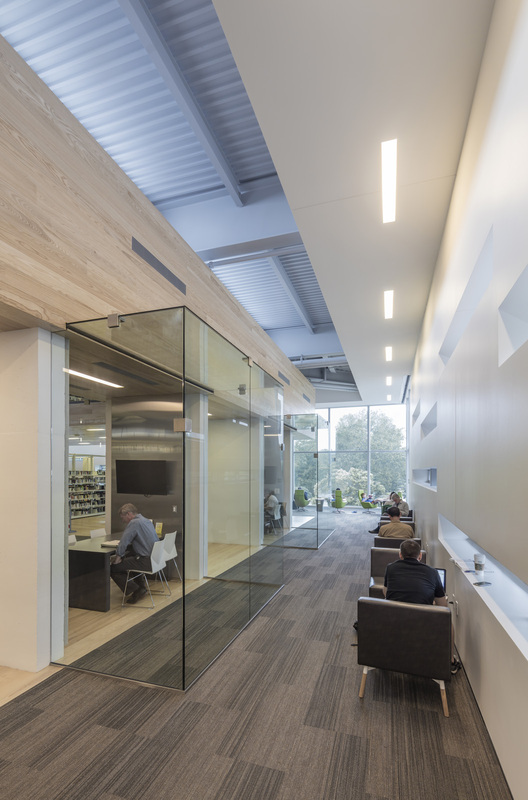 Opening up opposing walls to natural daylight minimizes glare—essential to the reading function of the space—by creating an even distribution of light. 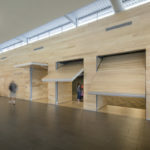 The original facade, a series of concrete fins now along the interior of the building, is codified with a cladding of a tongue and groove ash wood. 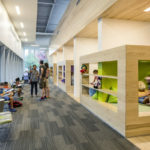 Where the public interfaces with library services, such as account assistance, stacks, children’s cubbies, private meeting spaces, and the central sorting machine, the ash is selectively removed to expose an underlying concrete structure. 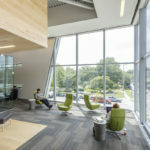 The project is currently undergoing LEED certification. 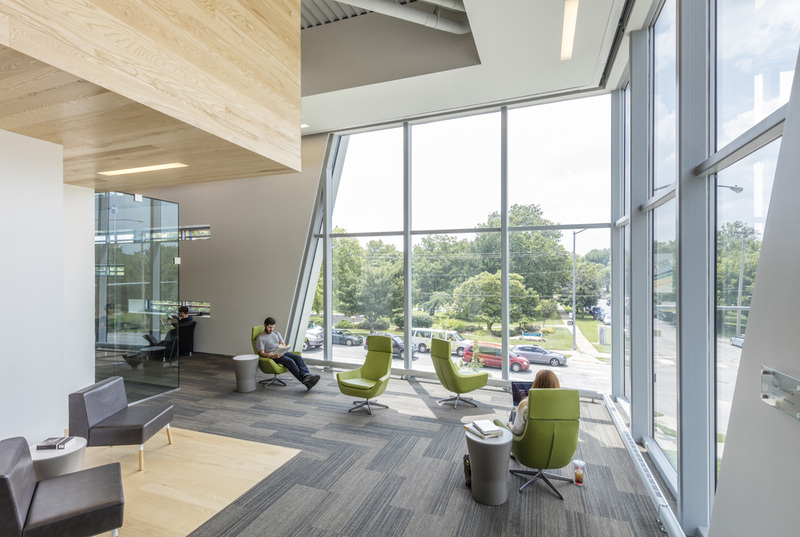 After expanding the library by 50 percent, the design team reduced energy loads on the building by nearly half. 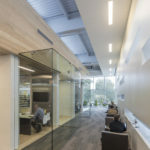 This achievement is all the more impressive when considering the original systems of the building were left in place to reduce the embodied energy of a full replacement. 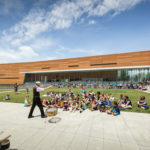 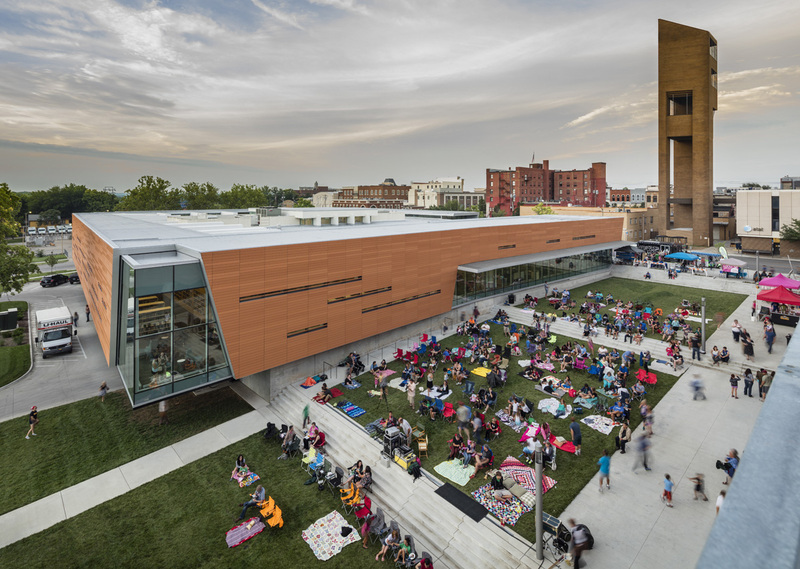 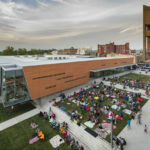 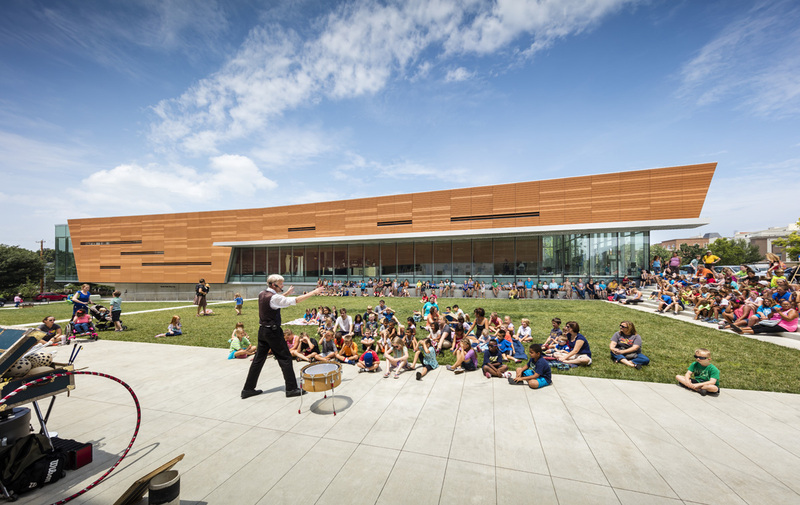 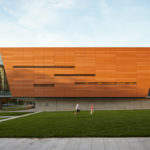 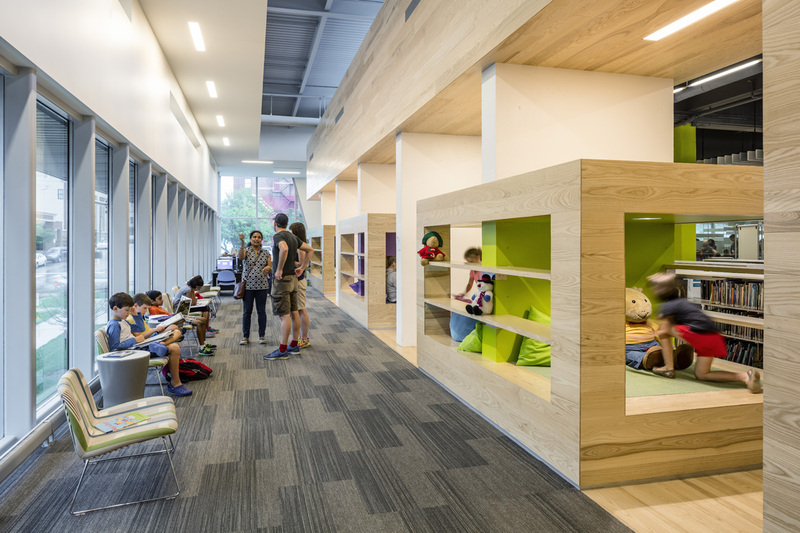 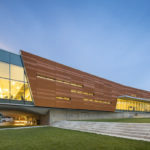 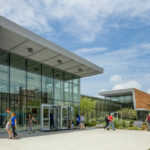 The building has recently been recognized with a Landmark Libraries Award by Library Journal, as well as the Honor Award for Excellence in Architecture by AIA Kansas.